What happened to Extreme Makeover: Home Edition? 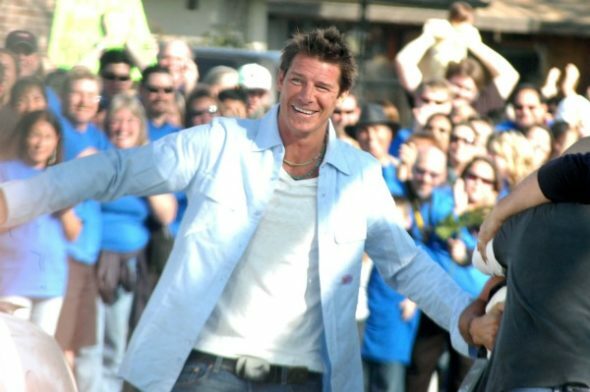 Recently, host Ty Pennington spoke with The Wrap about the cancelled ABC TV show. The reality series followed a team of builders and designers as they overhaul the home of a family in need. The show ran for nine seasons before ending in 2012. On ‘Extreme Makeover Home Edition,’ we did absolutely phenomenal things. And honestly I don’t know if there will ever be a show quite like that — that on network television, there’s a show that actually benefits a family. On television, that’s just unheard of. Let’s face it, it’s about ratings, it’s about ad sales — it’s about all those sorts of things. What do you think? Did you watch Extreme Makeover: Home Edition? Would you watch a reboot? More about: ABC TV shows: canceled or renewed?, Extreme Makeover: Home Edition, Extreme Makeover: Home Edition: canceled or renewed? I always looked forward to watching this show .This show helped a lot a people out. This show brought happiness to families in need and to the people watching.I wish I could of been a part of it. I really would like the show to come back. Absolutely loved this show, what it did to help families in need, was amazing, I agree w/Ty if people were stupid enough to mortgage it to the hilt that’s there problem, they should have been so grateful. It’s hard to believe how ungrateful people can be..